Abergavenny Castle (Welsh: Castell y Fenni) is a ruined castle in the market town of Abergavenny, Monmouthshire, Wales, established by the Norman lord Hamelin de Balun in about 1087. It was the site of a massacre of Welsh noblemen in 1175, and was attacked during the early 15th century Glyndŵr Rising. William Camden, the 16th century antiquary, said that the castle "has been oftner stain'd with the infamy of treachery, than any other castle in Wales." It has been a Grade I listed building since 1952. Hamelin de Balun, a Norman lord, had the castle built about 1087. Protected by a ditch and palisade, the motte was surmounted by a wooden keep. Soon after 1100, a stone keep was built to replace the wooden structure, and a wooden hall was built on its western side. 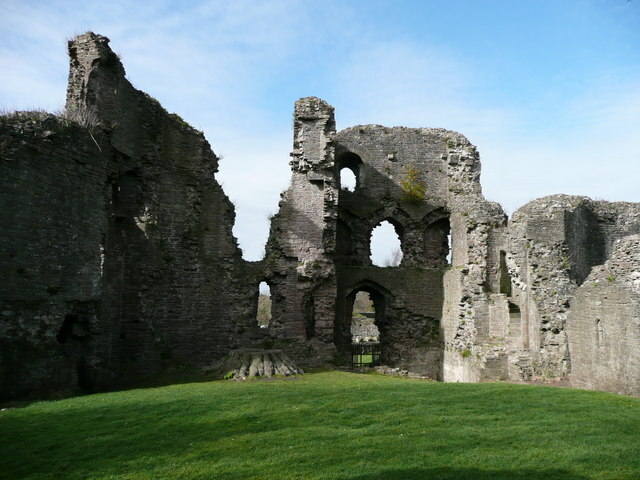 In the 1160s, Henry Fitzmiles, the son of Miles de Gloucester, 1st Earl of Hereford and lord of Abergavenny, was killed, reputedly by Seisyll ap Dyfnwal of Castell Arnallt. Without a male heir, Henry Fitzmiles' estate and the lordship, which included lands in upper Gwent and Brecknockshire, as well as the Castle, passed to his daughter Bertha's husband, William de Braose. De Braose rebuilt parts of the castle and constructed the curtain wall, parts of which still remain. 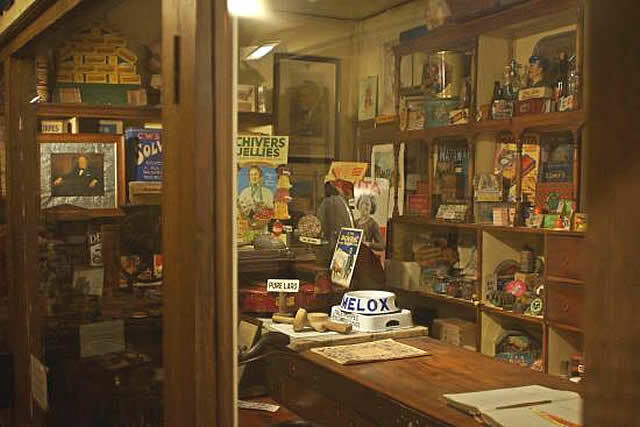 Abergavenny Museum is a museum situated in the grounds of Abergavenny Castle, Abergavenny, Monmouthshire. The Motte was probably built by the Norman Lord Hamelin de Ballon in 1087 AD. The tower built at the top of the motte would have been wooden. Beneath the motte was the bailey - a courtyard containing the outbuildings and stables. The whole castle was destroyed in 1233 by Richard Marshal, Earl of Pembroke, and the Welsh princes. The keep was rebuilt in stone. The first Great Hall in the castle was probably a timber building. Within this Hall, on Christmas Day 1175, the Norman Lord of Abergavenny, William de Braose, murdered his long-standing Welsh rival Seisyll ap Dyfnwal. 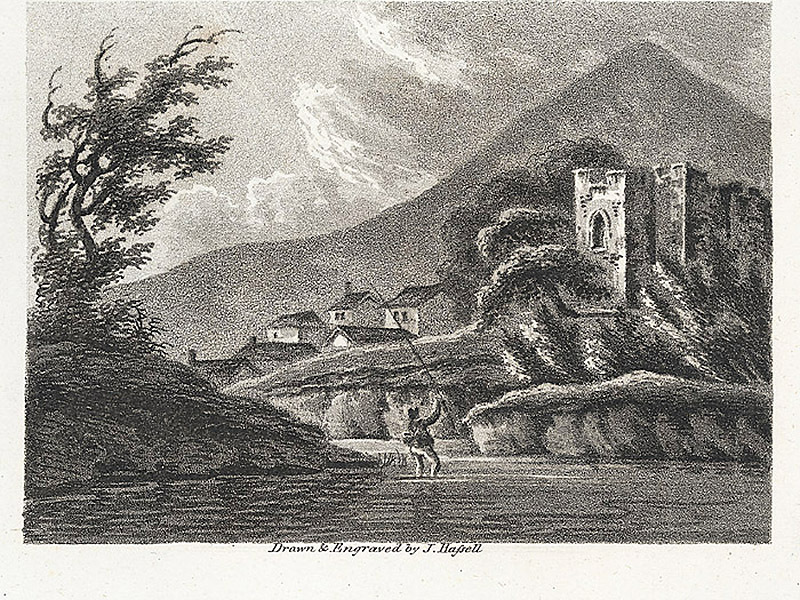 In 1182, the castle was attacked by relatives of the murdered Welshmen. Most of William's men were captured, but he was not at home. The walls you see today are the remains of a stone Hall built between 1233 and 1295. The Tower Complex consisted of two towers, one polygonal and the other circular. Evidence suggests that these towers were built in 1295-1314 at the same time as the town walls, using murage grants - a form of tax raised by the local Lord. The Gatehouse is a typical barbican gatehouse. When the castle wall was first built, in the late 13th to early 14th century, the gate was a simple opening in the curtain wall. Unusual door features suggest that the Gatehouse was added early in the 15th Century. At this time the last Welsh War of Independence was being fought against Owain Glyn Dwr. The castle was surrounded by a dry ditch rather than a moat. The keep along with most of the other castle buildings, was destroyed in the Civil War, between 1645 - 1646. 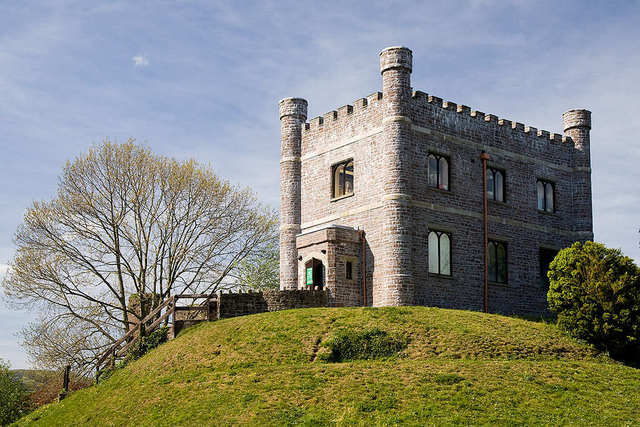 In 1818, the present building - now the Museum - was constructed on top of the motte as a hunting lodge for the Marquess of Abergavenny. The museum houses extensive and very significant collections of archaeological material ranging from the Mesolithic to post-Medieval. The collections produced by excavations of the Roman fort of Gobannium are of particular importance. The museum holds many individual items of costume. These include an 18th century open robe and full Regency female wedding outfit. The collection is particularly strong in womens costume of the late 19th century (especially lingerie) and the 1920s. It is recommended that at least one able bodied person is available to assist the mobility impaired. The grounds of the Castle are uneven, but there is a ramp leading up to the museum, it is however quite steep. Once at the front door it is possible to access the Keep gallery where the changing exhibitions are held. Museum staff can assist with opening doors. Other areas of the museum are accessible to varying degrees via outer doors. A museum custodian will need to help so please be patient if the museum is busy. Guide Dogs are very welcome. Transport : Abergavenny (National Rail) then bus or 14 minutes. Bus Routes : 61, 94, X4 and X74 stop near by.